The Red Patch Boys are an incorporated not-for-profit entity. We’re named in honour of a unit from the Canadian military, the Red Patch Devils, who participated in the liberation of Europe. Our flag is a tribute to the unit flag. 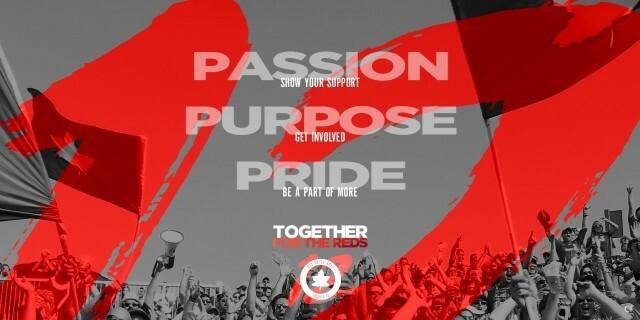 Being a part of the Red Patch Boys of course starts for many in the stands, with voices cheering on TFC. 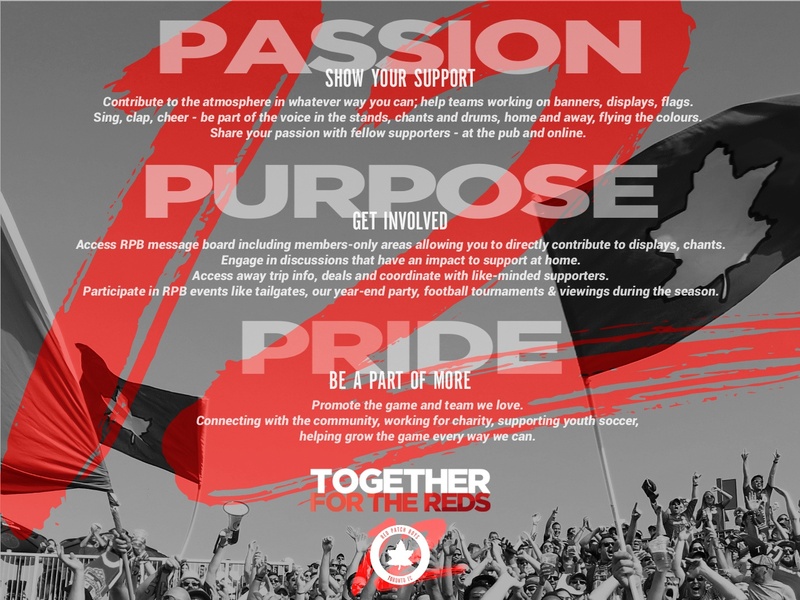 Becoming an RPB member allows you to go beyond and get more involved, bringing benefits and opportunities to show your support, contribute and be a part of more. Through passion, pride and purpose for the team and game we love. Benefits include those listed in image above and more! New membership details for 2019 will be available shortly.